One of the biggest announcements of CES was Dish Network's OTT TV service, coined Sling TV. The announcement created palpable excitement about the potential of unbundling the TV industry. 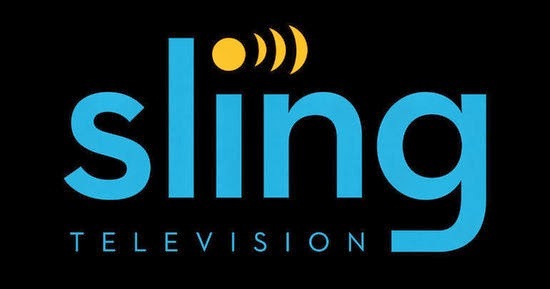 In my opinion, Sling TV has potential but it isn't quite the disruption to TV that some have been hoping for. Sling TV is basically a bundle of channels delivered through an app interface. The basic bundle is priced at $20/month, with more available for an additional fee. While this doesn't sound particularly exciting, Sling TV's biggest selling points are the channels that include ESPN and ESPN2. Sports have always been an elusive content category for cord-cutters and that is something Sling TV addresses. But this isn't as significant a shift as iTunes was to the music industry for two reasons -- 1) TV content faces two layers of bundling, and 2) The TV industry hasn't faced a "Napster moment". In the pre-iTunes era of the music industry, singles were bundled and sold as albums. iTunes' model of selling a la carte singles increased the number of potential listeners, but it also had a deflationary impact as the growth in sales of singles did not make up for the decline in album sales. But it also helped artists reach a larger audience and consequently led to an increase in concert ticket sales. But couldn't this whole sequence of events have been avoided if music labels resisted the move to unbundled distribution? The problem was that the zero marginal cost of content in the internet age created easy-to-use pirating services like Napster. Music labels didn't see a cent when consumers downloaded a single from Napster. As compared to this, iTunes a la carte distribution seemed like a better option. Now compare this to the TV industry. Unlike in the music industry, TV content faces two layers of bundling. Content is first bundled into TV channels and cable operators then distribute TV channels as a "meta-bundle". In this context, Sling TV could potentially have a disruptive impact on cable operators. Why buy all channels, when you can just buy what you want? But this has virtually no impact on bundling of content into channels. While streaming services like Netflix have begun to chip away at this model, content categories like sports have remained untouched. This is partly because TV has not really faced a "Napster moment". While zero marginal cost has spurred the creation of rapidly improving pirated streaming services, they still haven't reached most TV screens (where the biggest chunk of "watching" happens). As a result, Sports TV executives have no real motivation to consider new and risky economic models. It's possible that cheap, Chromecast-like devices could bridge this gap, but that could take more time. With this context, it seems that services like Sling TV aren't a disruption but a sustaining innovation for TV. While they may change the delivery medium, improve user experience and introduce an element of unbundling, they don't affect the basic economic structure of the industry. 1) In general, high incumbent fixed costs can be seen as a disruptive opportunity for new entrants. For example, YouTube can ben seen as a disruption to TV, but it has negligible fixed costs in comparison. Similarly, Twitch can be viewed as a disruption to televised sports. Today, we have a generation of viewers growing up idolizing YouTube celebrities instead of movie stars and Twitch celebrities instead of sports stars. 2) As we saw in the music industry, zero marginal cost spurs piracy and threat of lost of revenue leads executives to consider "nuclear options". While legal remedies are one way to defend the economic model, new pirating services always emerge replace the defunct ones in no time. The fixed costs associated with content production generally does not have an effect on this.